Editor’s Note: The last time I saw Betty Peeler was at the 2016 Blue Dot Ball. She was lovely, perky and happy to be there, walker and all, and in the presence of so many Democrats… If she met you once, she was a friend forever. Betty Peeler turned up in people’s lives when they needed her. When she died, people turned up to honor her. 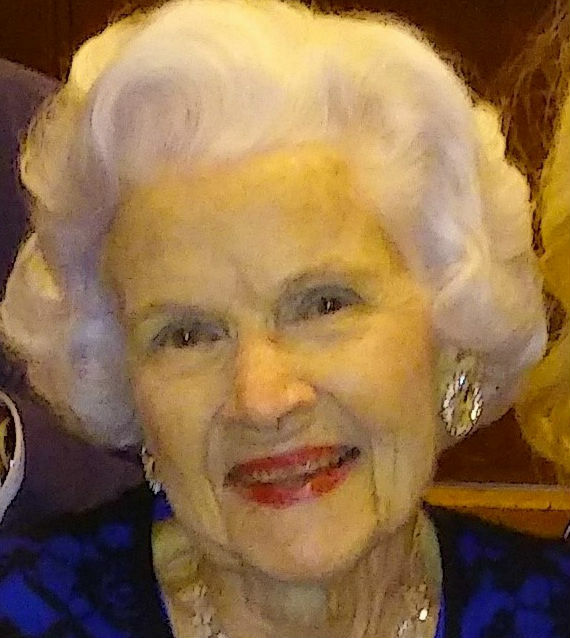 Betty Driver Peeler, who died February 26, would have been 90 this year. She was called “a Huntsville fixture” by people in her congregation at First United Methodist Church. She was a native of Johnson City, Tenn., and a student at Vanderbilt University. One of her family members said she graduated with a psychology degree and a fiance’. She and her husband, the late pediatrician Dr. Milton Peeler, were married more than 60 years. They eventually had five children, and while her husband made house visits, Betty took late night phone calls, cradling a baby in one arm and writing down children’s symptoms and temperatures, all while soothing nervous parents on the other end of the line. Betty did things some of us intend to do, but rarely get around to: she helped school dropouts get their GED; she signed people up for rent assistance; she delivered food for Meals on Wheels after she helped start the local chapter; she wrote to pen pals in prison; she worked with a local peace group; she visited people who were sick. She went wherever she was needed. Before women’s issues and equality were at the forefront of public life, Betty traveled to the World Conference of Women in Beijing, China, to learn about women’s lives and struggles all over the world. Dr. Peeler joked that she might get so involved there she’d forget to come home. But she did come home, and she joined the Panel of American Women, a local group of black, white, Protestant and Jewish women who bonded together to tell their life stories and inspire one another. Barbara and Betty were members of a lunch group that evolved from a sewing circle. The “Remnants” met in local restaurants and talked. It became a support group for everybody. Over the years, the Remnants lost husbands, endured illnesses, and showed up for each other week after week. I’m sure they still will. Whenever my husband and I saw Betty and Ginny at our favorite Thai restaurant, our running joke was that my husband was taller sitting down than Betty was standing up. Betty stood next to him as if to prove it each time. A friend and I visited Betty a month before she died. We sat at her kitchen table and she asked us to join hands while she said a quiet Methodist grace, which hung in the air above our bowed heads. Then she wanted to listen to our stories, to find out how we were. Rest in peace, Betty. You’re proof that a compassionate, kind, and committed life can come in a small package. I wish we had time for one more lunch.